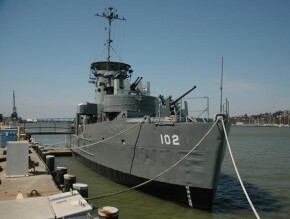 USS LCS-102 is now located on the Mare Island Waterfront. USS LCS 102 is the last survivor of the 130 LCS vessels build for the U.S. Navy. She was initially designed for close-in fire support during amphibious landings. 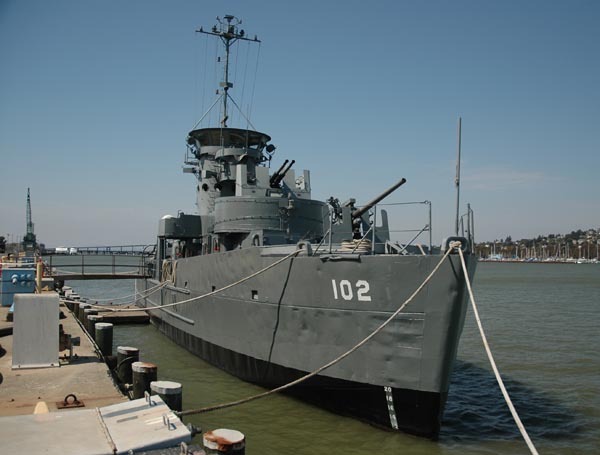 Docked on Mare Island at A Street and The Waterfront, LCS 102 is open for tours Tuesday, Thursday and Saturday from 9:30 until 3:30. 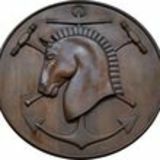 Donations are encouraged and appreciated. For further information, please call 707.553.1991.